BROOKLYN, NY--After months of debate, a New York judge has ruled that a controversial high-rise underway on the edge of Brooklyn Bridge Park may proceed, despite blocking iconic views of the bridge. State Supreme Court Judge Lawrence S. Knipel called views of the Brooklyn Bridge “world class” and “worthy of the maximum protection the law can afford” but ultimately sided with the developers of the Pierhouse project and against activists seeking to preserve the views, according to The New York Times and other news outlets. Construction on the southern part of the 10-story development was temporarily halted in April after local activists filed a lawsuit over the building’s height. 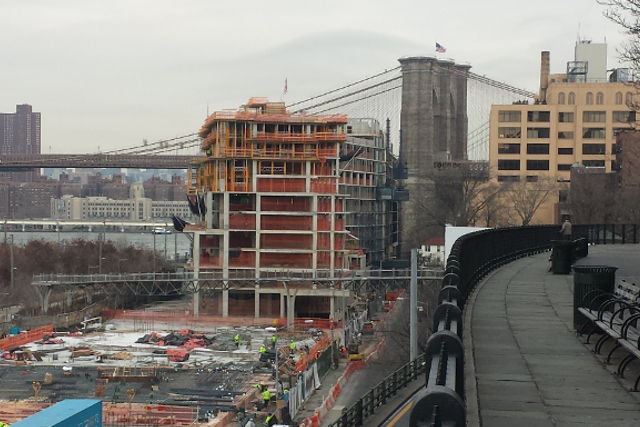 The view of the Brooklyn Bridge from the Brooklyn Bridge Park Promenade is partially obstructed by the new Pierhouse hotel and condo project. The activist group, called “Save the View Now,” took on the project’s developers (Toll Brothers and Starwood Capital), the City of New York, and the Brooklyn Bridge Park Corp. The group argued that the project’s roof-top bar and bulkheads ruined views that are supposed to be protected under height restrictions. The project was reportedly rising 30 to 55 feet above a 100-foot height restriction. In his ruling June 12, Knipel admitted that the hotel and condominium project overwhelmed the promenade’s historic space and view, the Times reported. “The casual passerby walking along Brooklyn’s majestic Promenade is struck with the indelible impression that these buildings, now nearing completion, are simply too large,” he said in the decision. However, the judge found no evidence that the development was illegal, pointing out that Save the View Now delayed in bringing its case. 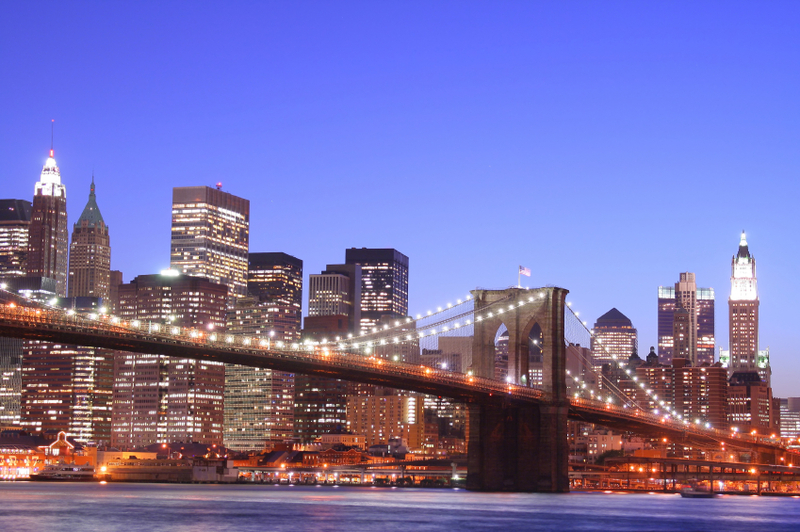 Built in 1883, the Brooklyn Bridge is one of the oldest suspension bridges in the United States. The bridge is a National Historic Landmark. The statute of limitation has passed, he said. Save the View Now’s chief said the group has not determined whether it will appeal the decision, according to the Brooklyn Paper. A spokesman for the developer told the media outlet applauded the ruling. “We are very pleased with the court’s decision and findings of fact that confirm the Pierhouse development complies with the height restrictions imposed on the project, which were adopted after years of extensive community review and input,” said Toll Brothers spokesman Bud Perrone. To be clad in metal and limestone, Pierhouse is described as an “extension of the park”—“rising up from the natural surroundings” on the project website. It will feature 108 apartment units, 200 hotel rooms and a 300-car parking facility. The project is expected to be complete in the coming months. This is why we can't have nice things!